iPhone users on Sprint network now have another way to use more data of their slow unlimited data plan with the Sprint TV app Sprint PCS released. Sprint today released the Sprint TV application on the App Store. The application is free and is also free to use if you have data in your plan — which you must do if own an iPhone or a smartphone. You can thank Apple that it doesn’t allows bloatware on their iOS devices, if not, this app would’ve been a default application on your iPhone and you wouldn’t be able it to uninstall it. Instead, carriers such as AT&T, Sprint, and Verizon can release their bloatware apps in the App Store so only users who want it can download it. 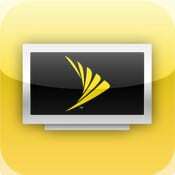 You can download Sprint TV for iPhone/iOS from the App Store or from iTunes. Sprint customers can also manage their Sprint account with the Sprint Mobile Zone that Sprint released on the App Store last month.